Is there a possibility to buy a drone for personal usage? Somewhere in the Internet maybe? Of course. Many people have them now. I have reservations on the use of the drone. I had read the article of Amazon’s experimental delivery using drones. It looked good at the outset but there are so many things to consider for now as part of the birthing pains of that novelty idea. What if the drone is hijacked? Another issue is the accident that the drone can hit a bird that it will fall and cause injury or damage to property. My question with the drone is the cost of delivery. Is it economical than the ordinary means of delivering goods? Technological innovations holds a very good impact on how business is carried out in some parts of the world. With the use of drones for delivering products and other items, it's one of quickest techniques available to man but it has its own challenges. 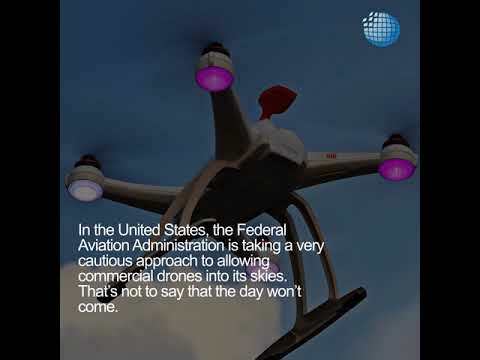 Some areas might not be suitable for the use of drone technology in delivering some products, also the nature of the items being delivered to delivered to its destination would go a long way in determining if using drones would be suitable for it. I think the drone system of delivery is one radical solution that can bypass the problem of road congestion. I can imagine that when drones for delivery become popular then the road will ease up naturally because trucks will be lesser on the road. Unfortunately the drone for delivery has to undergo the birthing pains particularly the permits to fly and also the approval of the flight schedule as per the aviation office. But it will be a big advantage for carriers particularly for small items that are very important like medicines.